Once there was a time when nobody worried about the shape and length of the beards. If anyone wanted to have a beard, growing it was sufficient. But, in today’s world, only letting them grow will not do any good for you. This is why beard neckline should be maintained strictly. People have become more concerned with the aesthetic form of style. Besides, we have jobs, presentations, ceremonies, and dates which demand a well-organized beardy look. Trimming the beard neckline is a must in this regard. Read on to know how to trim the beard neckline perfectly. Why A Neckline Is Important? 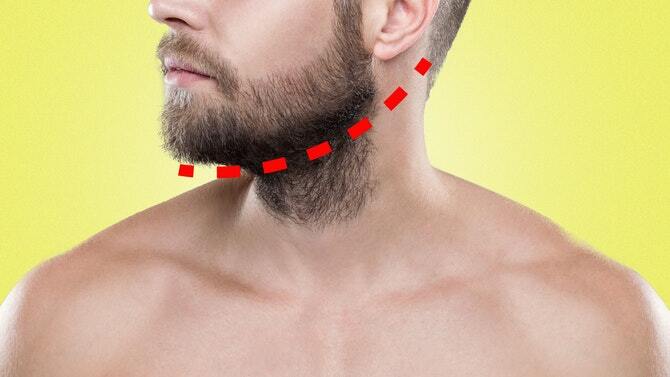 Men who grow beard often neglect the importance of having a properly shaped neckline. They tend to ignore the stubble underneath their neck which makes the whole beard look messy and untidy. 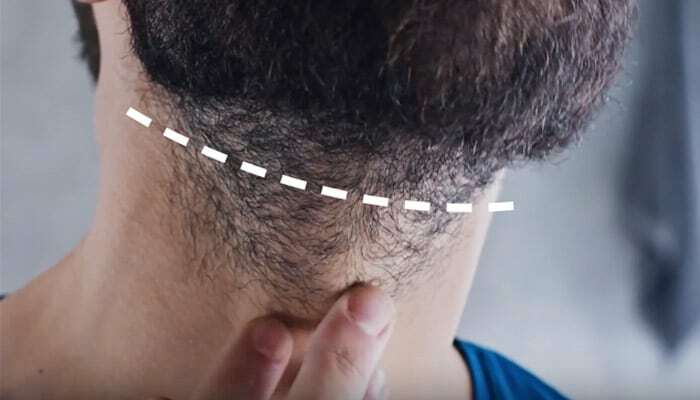 Once you’ve decided to keep a beard, you also need to consider the factors for perfect neckline such as the shape of the face and your physique. During the first few weeks of beard growing process, your beard may start to look unappealing and you will feel like shaving it off once and for all but you have to be really patient with the process. If you decide to rock a long beard look, then there is nothing wrong with that. However, if you want your beard to look neat and sophisticated, you want to make sure that you properly shape your beard and trim your beard neckline. Whether you’re an office going person or a student, you definitely want to pull off a neat and shaped beard that looks on point and compliments your personality. Where to Trim Your Beard Neckline? Grab your razor, stand in front of the mirror and visualize a line that connects both of your ears. Start working outwardly from the midpoint up above Adam’s apple and define the line till one side of the ear. When it’s done, go back to the middle and use a razor for the other side of the ear. How to find out when it’s the right time to trim your beard Neckline? The answer is simple – when your stubble reaches about 3mm, it’s time to grab trimmer and start buzzing. Draw a curved lined that links both of your ears. Starting from one ear all the way through your Adam’s apple and ending to your second ear. To identify your neckline, you can also place two fingers above your Adam’s apple. However, it may vary from person to person as it depends on the location of your Adam’s apple and the width of your fingers. Shave your hair underneath the neckline and voila,you’re ready to rock your beard. If you have a double chin, you should go for a short beard and let your facial hair grow on the sides of your chin to make your face look slim. There are many beard shaping tools that have different sides to choose from. 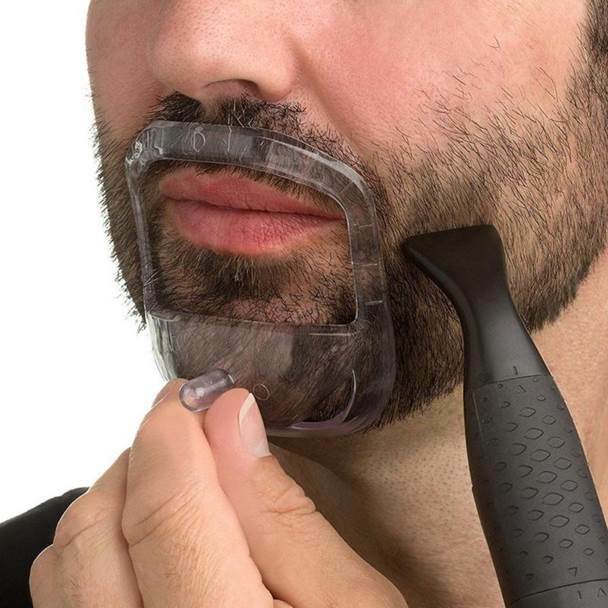 It gives you a template that guides you on where to trim your beard at different angles. 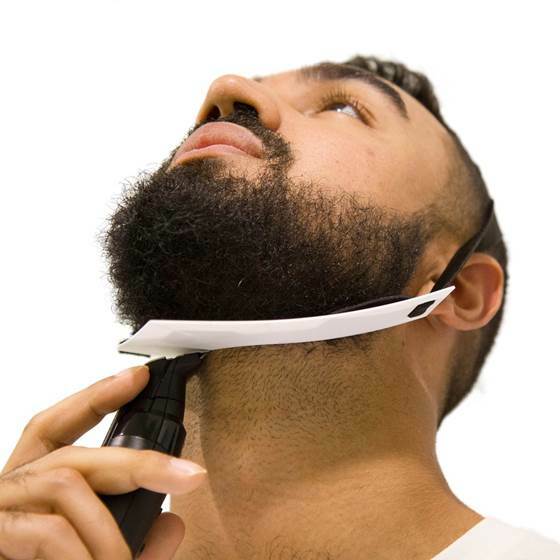 By using the Flexshaper Beard Neckline, you can easily trim your neckline without going overboard. It’s a tool that can be attached to your heard via elastic bands. The shaper gives you the outline so you could position your trimmer and easily trim your neck up to your jawline. Obviously, you can’t trim the facial hair with bare hands. A good quality beard trimmer is necessary if you want to trim the beard neckline. There are hundreds of trimmer available in online shops like amazon.com. Philips Norelco Multigroom All-In-One Series 3000, Braun BT3040 Men’s Ultimate Hair Clipper these two are my best picks. You can easily buy them from Amazon. After getting the trimmer let’s know how to trim the beard neckline the right ways. Elicit the neckline before moving to the next steps. There is a natural middle spot on your neck which can determine the central point the neckline. That is Adam’s apple. Draw an imaginary line that connects three points together. One point is Adam’s apple and the other points are the marginal point of two ears. Connect these three points which will resemble a half-circular appearance. Now, put your one finger right on Adam’s apple. Place the trimmer just above the finger and start to trim down. Most of the people prefer two setting shorter length than the beard’s length while trimming the beard neckline. Follow the imaginary line you have drawn and trim alongside the line. A curved neckline looks the best, so it is better to avoid round beard neckline. Continue the trimming until you are satisfied with the neckline. If you are not comfortable doing it manually, here is an excellent beard shaping tool to do the trimming smartly. Place this Beard Shaping Comb as per the assumed neckline. Then trim the beard off which remains underneath this comb. This tool will help you have a well-defined lineup and edging. You can find the tools you need from here. Trimming is a sensitive task. You can’t retain something immediately that has been trimmed off. And, when it’s about the beard, at least a one-week period is needed to regrow it. 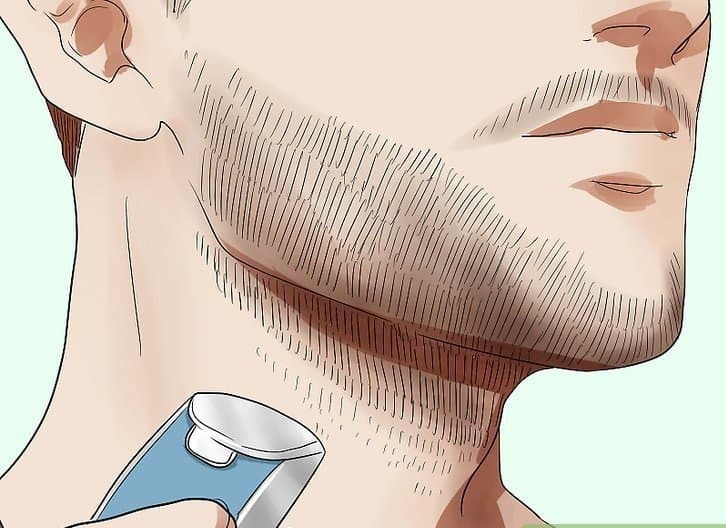 Be cautious when you are trimming the beard neckline. Because this can change the overall look of your appearance.